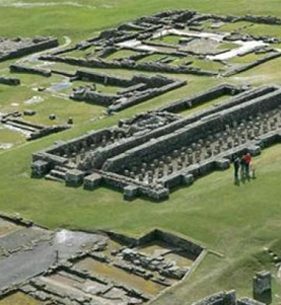 Set high on a dramatic escarpment on Hadrian’s Wall, a World Heritage Site, Housesteads Roman Fort (English Heritage) takes you back to the Roman Empire. Wander the barrack blocks and the hospital. Peer into the ancient communal Roman toilets and admire the stunning panoramic views from this ancient fortress.